Hello everyone! We’re back with our monthly free printables party! 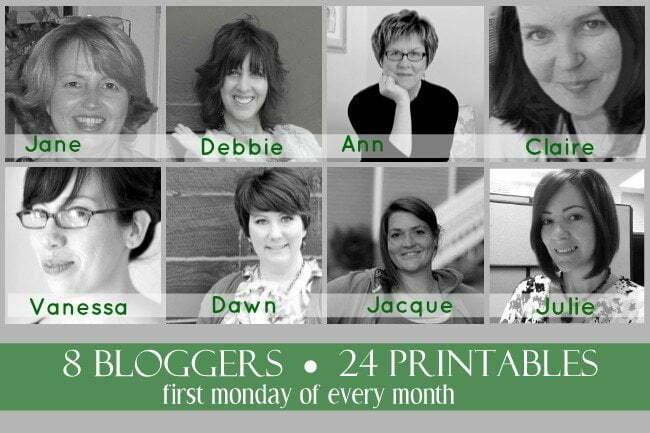 I’ve teamed up with some talented bloggers to bring you some creative printables each month. And the best part is, they are all FREE! All you have to do is click on the links below and you can see what all 8 of us have come up for you this month. Here’s my first printable for you this month. You know I love gardening and anything that blooms, so I made this printable for all of you gardeners out there. 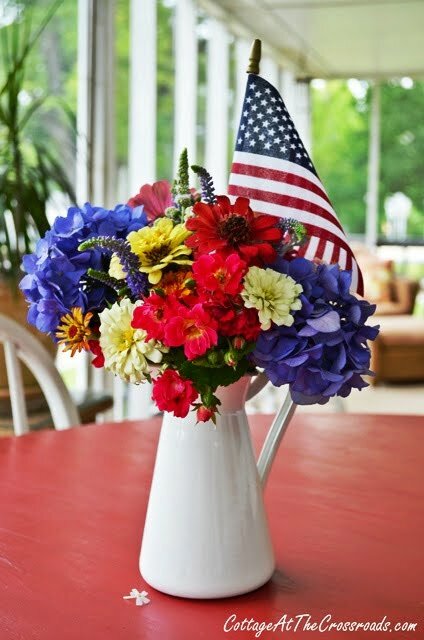 I found these things blooming in the yard today, so I made this little patriotic arrangement. Get it? 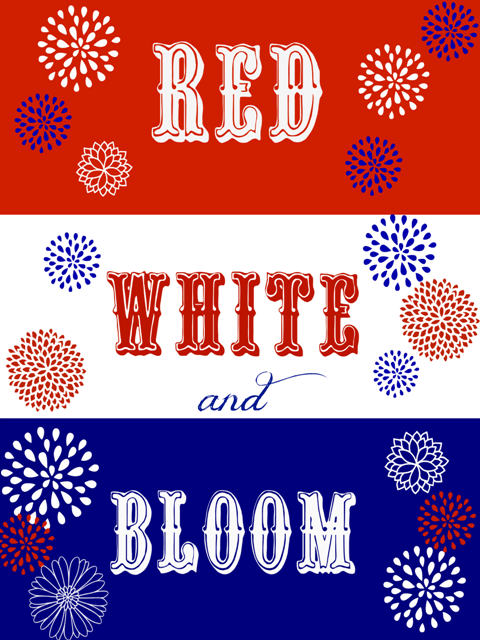 Red, white, and bloom! My next printable is a little more personal, but you may have someone you’d like to print it for this week. Today is our 17th wedding anniversary. 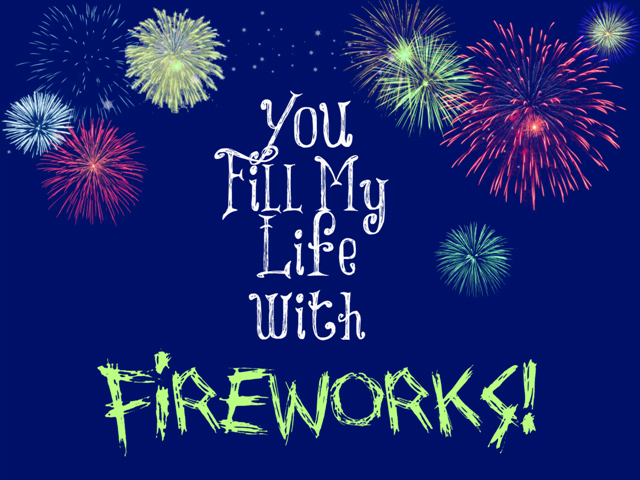 We got married on a boat in the Charleston Harbor and Leo has always created fireworks for me, if you know what I mean!!! Even though we never plan to attend a fireworks display for the 4th of July, we always happen to be in the right spot to see some fireworks. A lot of those times were when people were shooting off some in our neighborhood. It’s really gotten to be a real joke between us. So I created this little printable to give him this week. 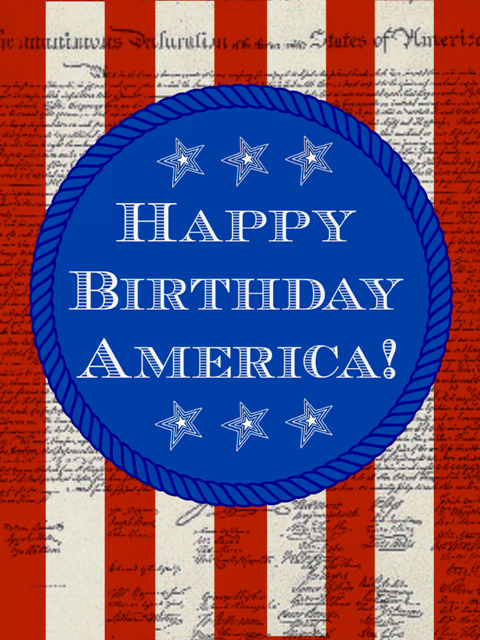 So bring on the hot dogs and hamburgers and let’s all celebrate together this week. We’re ready to do our part. And I’ll let you know where we saw our fireworks! Love your cute pitcher of flowers ! Hope you had a wonderful anniversary ! I love all of these but the fireworks image is the best! Thanks so much. Love every single one of these – especially that wedding pic of Jane chugging a wedding day brew ski! Happy anniversary! May you have many more filled with love and laughter. Thank you for the printables . Love your printables and am about to share them on FB. Happy Belated Anniversary! Today is #19 for us! Happy Anniversary! That is a great picture! Love the printables, they are all great! Also, wanted to say congrats on being 1st runner-up. It was a pleasure to have you link up. 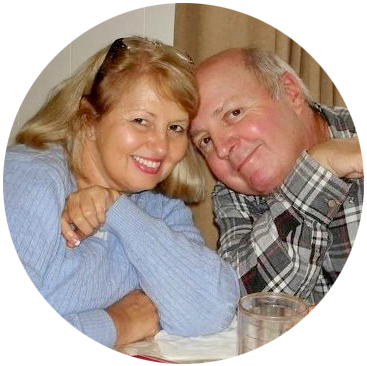 Love the printables Jane!…Happy Anniverary…ours was on the 27th!! 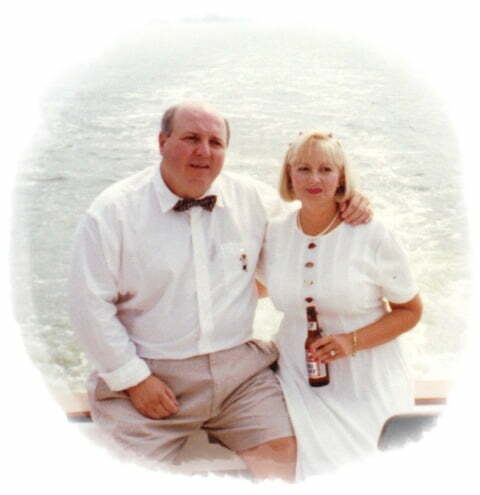 !…you two look so beautiful…how romantic to be married in Charleston in the harbor!! Happy Anniversary! I love your picture. What a fabulous idea! Love the fireworks! Happy Anniversary!